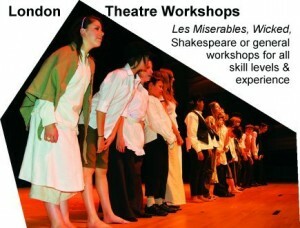 All of the following workshops involve exercises used in Drama School training and professional theatre rehearsals. All workshops are interactive, with emphasis on students participation, learning new techniques, developing confidence, and improving their understanding of theatre and performance. Each workshop lasts for two hours, and is either self contained, or can be tailored to a groups interests and abilities, focusing on a chosen production if required. Theatre 101: A fun workshop for students with little or no experience of theatre. Story Telling: A fully interactive workshop with the group creating its own stories. We Can Do It: A devised theatre workshop, exploring techniques used by historical and contemporary theatre practitioners. Most suited for ages 13+. A self-reflective workshop on identity – exploring what makes us unique? Are we defined by the labels society gives us? Creation of performance from our own labels.